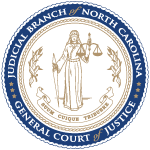 Only Some Judges and Judicial Officials are Subject to the Commission’s Jurisdiction: The North Carolina Judicial Standards Commission investigates complaints of judicial misconduct against judges and justices of the North Carolina General Court of Justice (District Courts, Superior Courts, Court of Appeals and Supreme Court) and commissioners and deputy commissioners of the North Carolina Industrial Commission. The Commission has no jurisdiction to hear complaints about magistrates, clerks of court or other court staff, administrative law judges, attorneys or federal judges. A Complaint is Not a Substitute for Appealing a Judge’s Order: Your complaint is not an appeal of a judge’s decision and the Commission has no authority to change or alter a court order. Appealing a decision is subject to strict procedures and time limits. You should consult with an attorney if you seek legal relief from a court order. The Commission Cannot Remove a Judge From Your Case. The Commission has no authority to order a new judge to be assigned to your case. In addition, please be advised that filing this confidential complaint does not mean that the judge is automatically required to recuse himself/herself from hearing your case. Your Complaint and All Commission Proceedings are Confidential. North Carolina law and Commission rules require that the investigation of complaints of judicial misconduct, as well as the proceedings that occur before the Commission, remain confidential. If the Supreme Court accepts the Commission’s recommendation and imposes discipline upon a judge, the pleadings, the recommendation and the record are no longer confidential. Anyone who discloses confidential information of the Commission may be subject to punishment for contempt. Complaints can be submitted either by downloading, filling out, and mailing this form to the Commission or submitting it electronically. Do not mail any original documents to the Commission, and keep a copy of your complaint and any attachments you send us for your files. The Commission does not return documents once filed. What kind of case is it? For litigants, did you have a lawyer in this case? Please provide their name(s) and contact information. You are limited to uploading only four attachments for this webform. To submit additional documents, audio/video files or other information to support your complaint, you may mail those to the Commission. Do not include any original documents in mailed documents and make sure to make copies of what you send for your own files – the Commission will not return materials to you. File types accepted: doc, docx, jpg, png, pdf. Max size 2MB. File types accepted: doc, docx, jpg, png, pdf. Max size 2MB. I declare, under the penalties of perjury, that, to the best of my knowledge and belief, the statements made above and on any attached pages are true and correct. I agree and understand that I am signing this complaint electronically and that my electronic signature is the legal equivalent of a written signature.